For most people in my part of the world, grilling season is over. But nobu_tary brings back a taste of summer with this little treat. It is a deceptively simple build but the builder nailed it. 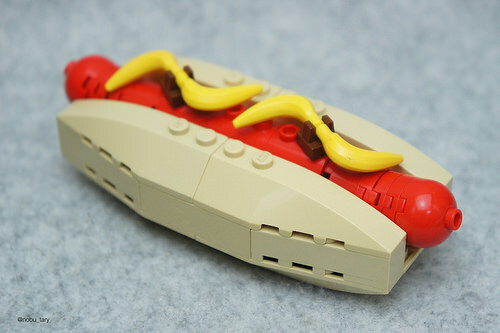 I really like the use of bananas as the drizzle of mustard and the subtle curve of the “dog” in the bun. I may need to fire up the grill today and chase away the November rain!